The purchase of a first home is an exciting and sometimes overwhelming process, and many first-time buyers find that working with an agent makes the process go much more smoothly. 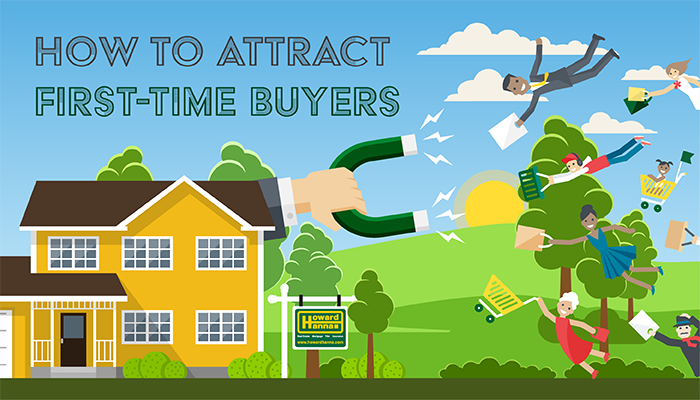 If you’re an agent who’d like to tap into this unique buyer segment, we have some tips on how to target them and increase your business! Tip #1: Know the home buying process. Because the people you’re working with have never had the experience of buying a home before, sit down with them and inform them of what to expect. Doing this before helping them to become pre-qualified or showing them any homes will ensure that they understand how everything works. Managing expectations from the beginning will set your buyers at ease and save everyone time in the long run! Tip #2: Know the world of pre-qualification. Many people embarking upon the journey of first-time home ownership may not realize that pre-qualification is the first step. Though it’s simple and straight-forward, you’ll want to ensure that your buyers know what to expect and that you can answer any questions they have. Once they know their budget, it will help set their minds at ease to know that they’re looking at properties they can actually afford. Tip #3: Know first-time homebuyer programs. Howard Hanna offers many programs to help make the American Dream of homeownership a reality. From the Apartment Dweller’s Trade-In program to the First-Time Home Buyer’s program, Howard Hanna has thought of everything! Know the resources that will make purchasing a home easier for your buyer. Tip #4: Know how to be social. Younger buyers, who are typically looking for their first home, are more likely to use the internet, and use it more frequently, than older buyers. According to the NAR Profile of Buyers and Sellers, 90% of home searches start online, and you want to be top of mind when that young buyer starts to search for a home. An easy way to do this is being active on social media. No need to be an expert in all things social; start with Facebook and LinkedIn. Post relevant, interesting content with frequency, and you’ll be well on your way to becoming a social media superstar! First-time homebuyers make up 32% of the market, per the National Association of Realtors, making them the largest homebuying segment. It’s a worthy investment to learn how to work with these special buyers, because if you play your cards right, you may have made a customer for life!